Audi today confirmed a slew of new sporting SUVs at its annual general meeting: the Q4 and Q8 will be launched, alongside a trio of E-tron electric cars, by 2020. 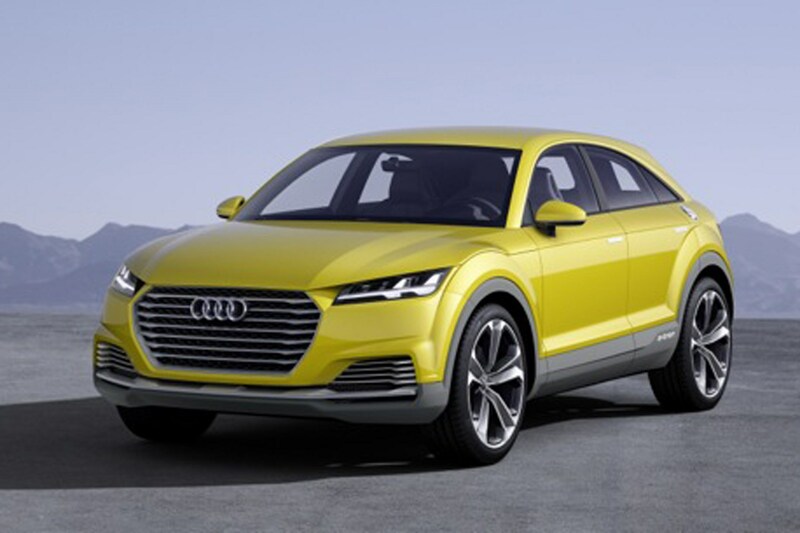 Audi says it will offer 30% of its sales will be fully or partially electric by 2025. It's now official: Audi will launch the Q4, a rival for the Range Rover Evoque and upcoming BMW X2, in 2019 in a major expansion of its SUV range. 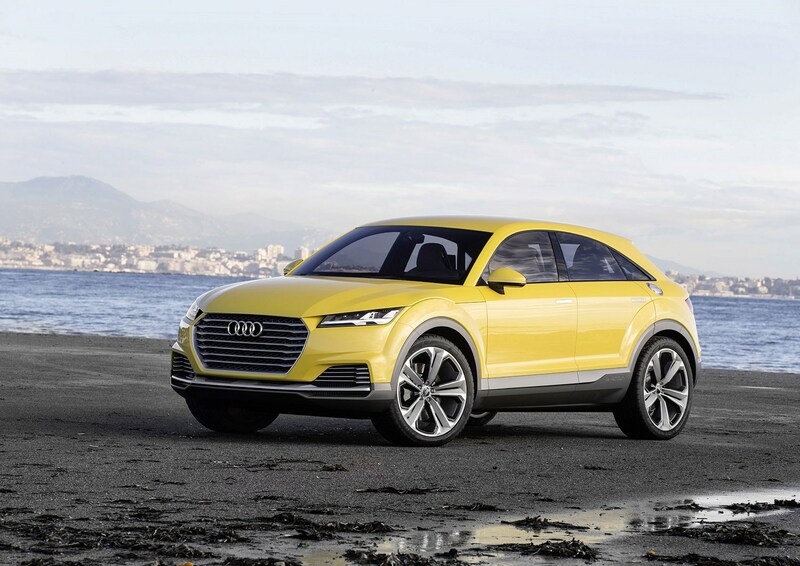 The new model takes inspiration from the sleek-rooflined TT Offroad concept (pictured below) revealed three years ago, with this ‘compact utility vehicle’ slotting in between the Q3 – itself scheduled for replacement in 2018 – and the new Q5, which went on UK sale in April 2017. This additional coupe SUV is estimated to sit between the £27,200-up Q3 and the £37,170-upwards Q5 in terms of cost, so expect a starting price around the £30,000 mark. 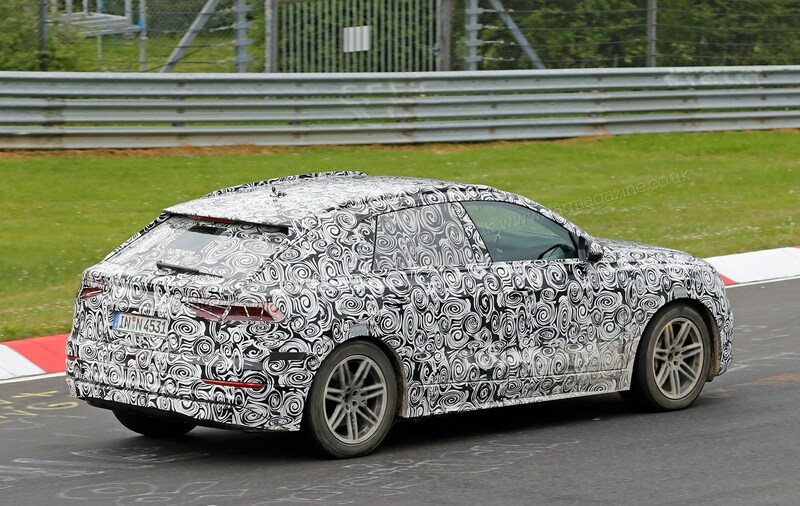 Engines are likely to vary from a new 1.5-litre petrol and 2.0-litre petrol and diesels, with the possibility of a fire-breathing RS Q4 model likely to share the 2.5-litre five-cylinder turbo engine from the TT RS – with up to 400hp on tap. Q models already make up one in three Audis sold worldwide and this figure is likely to rise with the introduction of the plush Q8 – sitting at the top of the Q2, Q3, Q4, Q5 and Q7 Q range. This ‘will combine the elegance of a coupe with the functionality of an SUV’ with a low roof line and ‘extremely sporty stance’, according to Stadler. This full size SUV is likely to boast a mild hybrid powertrain, following the unveiling of the Q8 Sport Concept at the Geneva motor show with 476hp and a 4.7-second 0-62mph time offering ‘forceful acceleration’, according to Audi. With a 3.0-litre turbo V6 and electric assistance, Audi claims this car should boast eight-cylinder performance with four-cylinder economy – plus a 170mph top speed for startling backseat passengers on the autobahn. Despite being more than 5m long and 2m wide, the Q8 is set to offer ‘opulent spaciousness’ only for four, showing that it’s luxury that’s top of the priority list here. The concept’s wheels measure in at a pothole-defying 23 inches and 305mm wide, though claimed range is said to extend to a useful 745 miles. 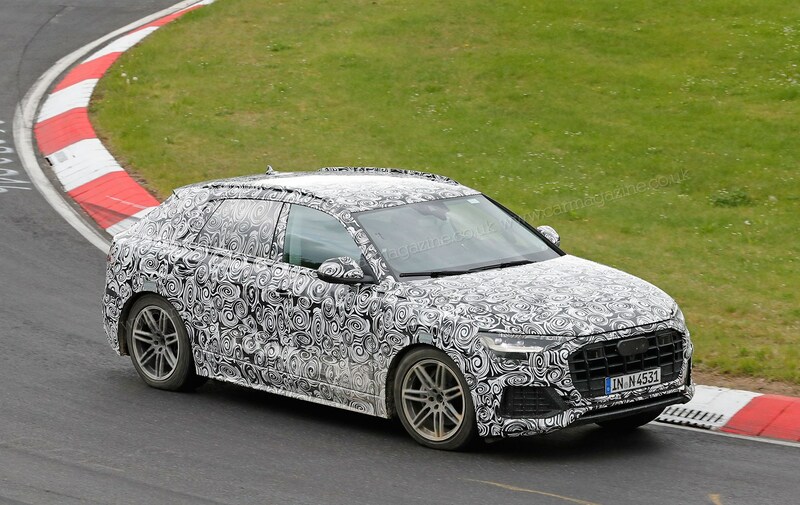 We've caught the new Audi Q8 on test at the Nurburgring, proving it's not far from launch now. 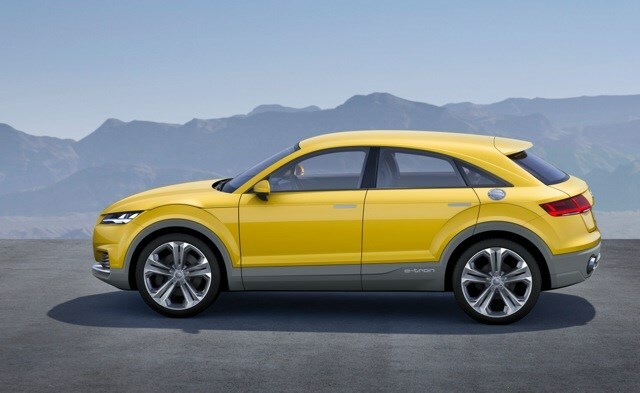 A Q5 e-tron pug-in model is also on the way, rolling off the same production line as petrol and diesel models in Mexico. And the new Audi A8 will be unveiled on 11 July 2017.